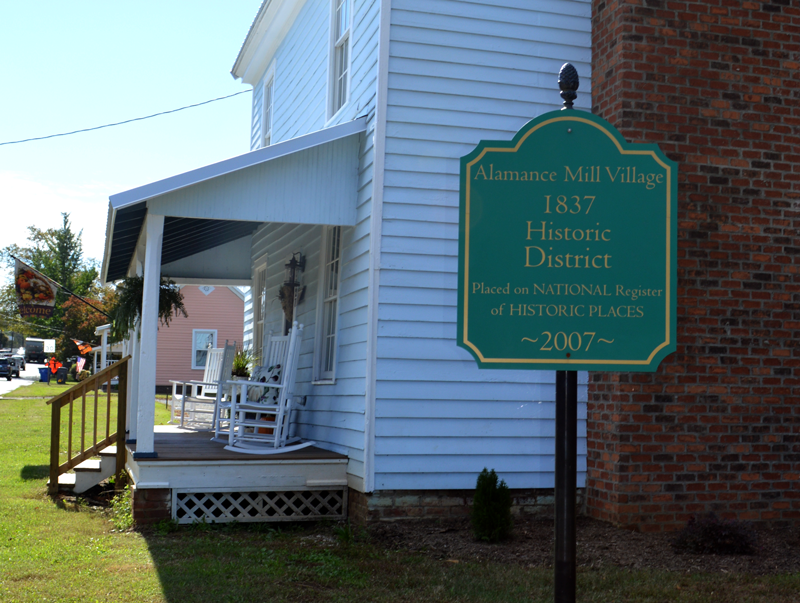 Eleven years after the National Register of Historic Places put the Alamance Mill Village on its esteemed list, one of the oldest homes in the community, the Mill Home, has been restored by a local couple. Like most homes, the Mill home‚ and the village — has a rich story. Built around 1840 and originally constructed for workers at the Alamance Cotton Mill, the two-story Mill home located at 3927 N.C.- 62 rests along the Great Alamance Creek and the stone dam that once powered the mill. Historians and long-time generations of residents of the Village of Alamance conjecture the Mill home could have likely been the mill manager’s residence at one time, or another. Unfortunately, after nearly 180 years, no one knows the whole story. But many would describe the Mill home as an “eyesore” for approximately 30 years, or so. Sherry Ford fought to save it from condemnation [for how long] when her daughter, Elizabeth Powell and Elizabeth’s husband, Tom, stepped in to rescue the property and bought the home in 2017, following a four-year battle with the previous owner. Both Ford and Elizabeth Powell hold a unique fondness and deep-rooted memories for The Village of Alamance. The Powells own eight of the 15 houses in the Alamance Mill Village. Ford owns four. 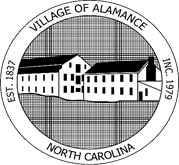 Under the Town of Alamance’s Mayor Don Tichy leadership and with the Town’s support, Powell [and Ford] say their vision for the Alamance Mill Village Historic District is to see it moving forward in a positive direction. One day, they would even like to see if become a mix of residences and businesses. For more the Mill Home Open House, visit The Times News. Reporter Jessica Williams jessica.williams@thetimesnews.com or at 336-506-3046.